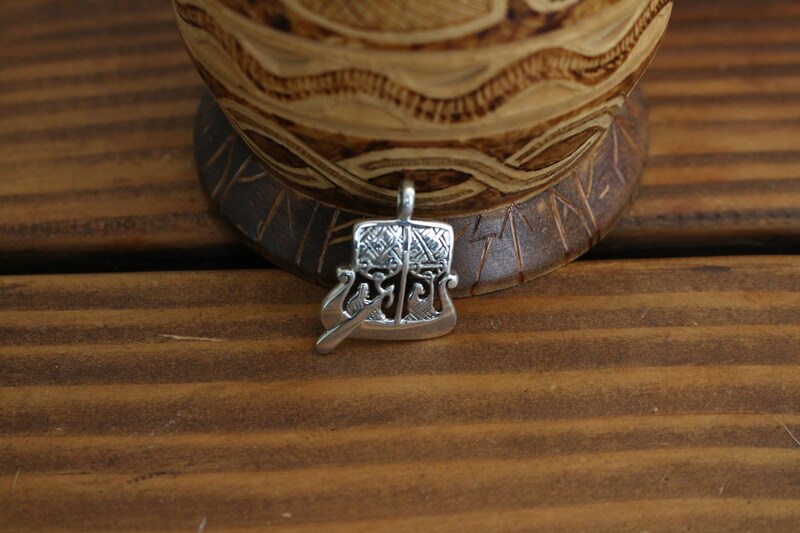 The Viking Age was defined by the seafaring prowess of the Norse. 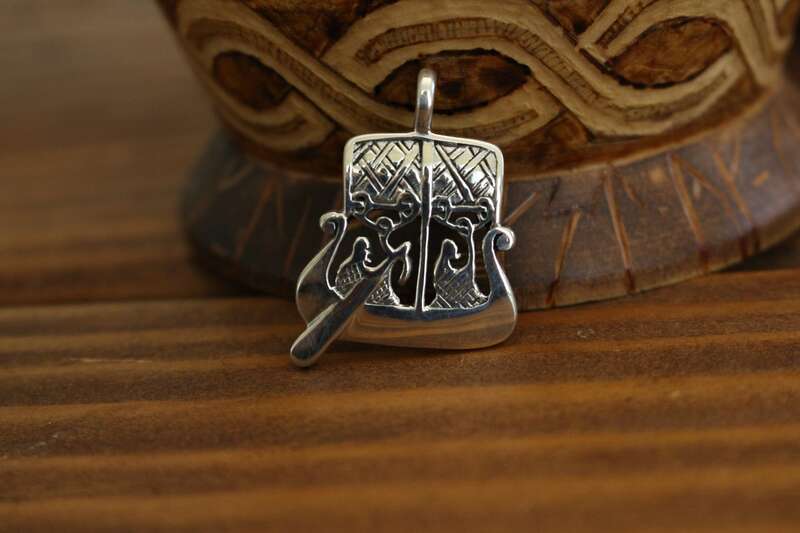 This solid cast sterling silver depiction of two warriors on their ship displays exactly what it meant to go “Viking” and travel to tradeposts (or war) in search of treasure, fame, or power. 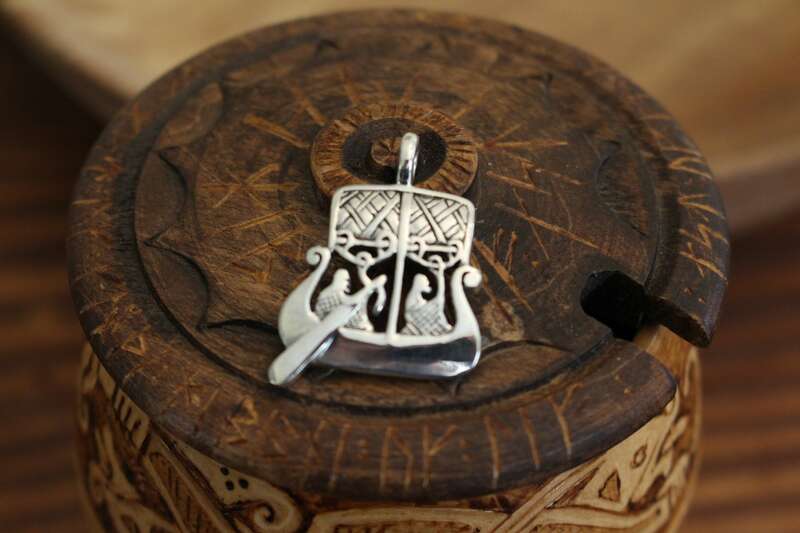 This pendant is based directly on the ancient Lillbjärs picture stone that dates back to 800 A.D. from Gotland, Sweden. Also depicted on the stone is the image of a Valknut and a horse with a rider being greeted by a woman holding a horn of mead. 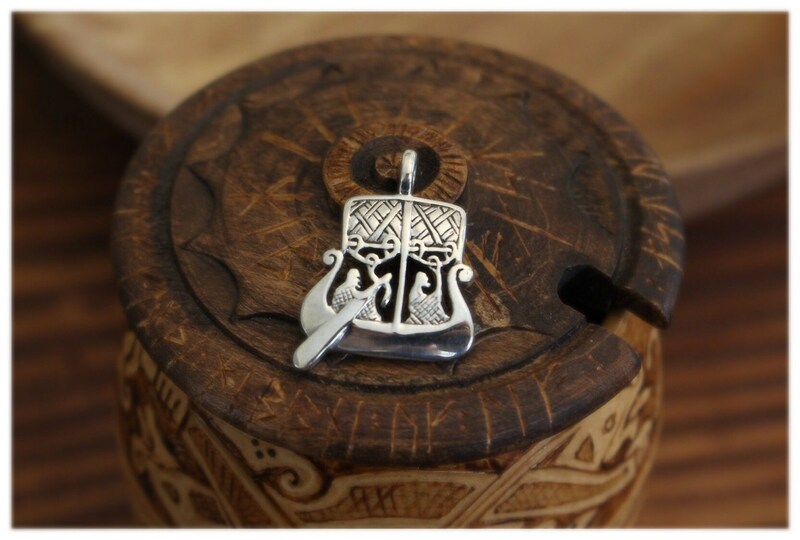 It comes with a leather cord and optional handmade glass beads which are based on Iron Age Norwegian archaeological finds! This was made in affiliation with Viking Kristall. Currently the largest island of Sweden, Gotland in the Viking Age was a massive and independently run trading hub. Over 700 Viking hoards have been found on the island, and archaeologists have identified more than 50 coastal Viking settlements here. Gotland existed between Baltic trading ports and mainland Sweden, so naturally many of the artifacts and treasures exist from trading voyages to the east. Treasures found include glass, amber, iron, carnelian, beeswax, furs, garnet, antler, and rock crystal that was used to craft the famous Visby Gotland crystal balls. Carved runestones can be visited in Gotland as well, erected in the Viking Age with splendid artwork and runic inscriptions.